I’m not sure that there is any correct way to talk about this album critically. I don’t mean to say that it’s flawless, because it certainly isn’t, but that applying a critical lens to the material on this record almost seems like the quickest route to missing the point. Ready To Die is an album that through its very nature defies those that would try and parse out a deeper meaning from its content, and even more frustrating for people like me; this lack of meaning doesn’t even seem intentional. It’s an album that exists because it does. Nearly all roads through this album, other than a purely subjective discussion of the aesthetic quality of the listening experience, lead to dead ends. 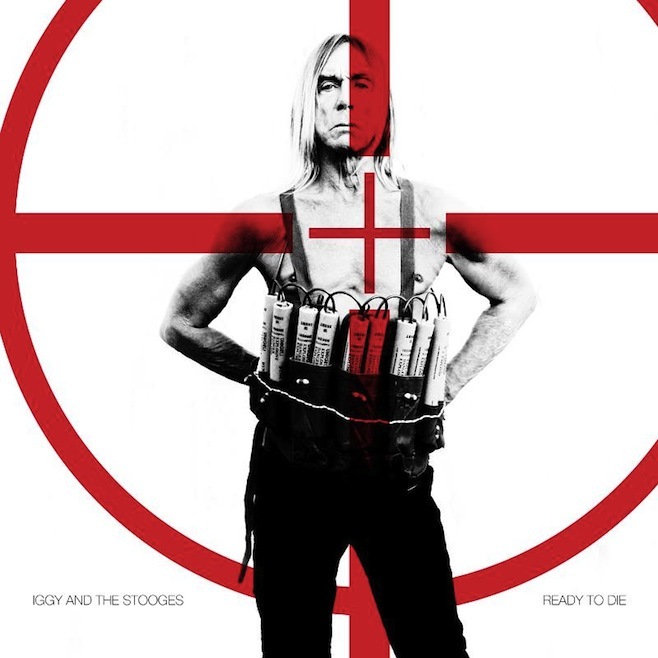 Fittingly, the album’s aesthetic merits, and lack thereof, are one of the reasons why some angles of dissection don’t work, specifically where Ready To Die fits into Iggy Pop and The Stooges discography. Put bluntly, this album is extremely inconsequential. Iggy & The Stooges' place in history is already so sturdily cemented that no album they release 40 years after their initial run could possibly dislodge them from the canon or rewrite the way the world views them. The nine songs present do very little to reinvent the rough garage rock sound that The Stooges are known for, and are often just less tuneful versions of their former glory. All of the elements are there: the sloppy drumming, simplistic and crunchy guitar playing, and Iggy’s instantly recognizable voice. But all of these elements seem hollow when compared to the band’s younger selves. The drums sound sloppy because they’re dragging behind the beat, not because of any manic energy, and while the guitars are playing progressions that could conceivably be Stooges songs, they could also conceivably be a band trying to sound like The Stooges. But it’s incredibly unfair and intellectually dishonest to compare the band now to the band then. 40 years is a long time, and it’s doubtful that The Stooges are even attempting to get the same results from their music now that they were when they were on the cutting edge of the punk scene. It’s likely that they just wanted to play music together again for the sake of it. They aren’t trying to prove a point, and that lack of passion is most discernable in Iggy’s voice, which is mostly monotone and apathetic about the songs under him. Iggy sounds best on the record’s three softer cuts; “Unfriendly World”, “Beat That Guy” and “Departed”, where his voice is allowed to sink into the lower register. Here, Iggy is allowed to sound old and tired, which fits the vaguely country vibe that the rest of the band provides on the songs. “Unfriendly World” and “Departed” both see Iggy reflecting, with very little nostalgia, upon the harshness of life, which could lead one to view Ready To Die as the most recent album from older artists wherein they confront their mortality a la The Next Day or Tempest. This approach seems short sighted though, because despite the record’s title, much of the lyrical content is deliberately juvenile. Sure, the title track and the softer songs could be read as examples of aging rock (although even then, the title track’s nihilism could just as easily come from a punk band in their 20’s) but how would songs like “Job” or “DD’s” fit into that picture? Yet again, attempting to extract a grand theme from the album falls on its face. So what are we left with then? A fairly mediocre garage rock record that will likely be forgotten within the next few months. Does it matter that this record isn’t that good? Not really. These conclusions aren’t particularly exciting, but not every album is either. And that’s a good thing; the music world isn’t built on the huge “event” records that us critics like to blabber on about, but upon the backs of millions of small humble albums like this one.